Today we cannot imagine our lives without lights so we should all say thank you to Edison. 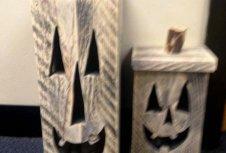 The lights in the houses are also one of the decor determining factors along with being light source. And that is why there is a variety of the light designs and shapes to beautify and illuminate the houses. But the fact cannot be ignored that they come with hefty price tags. So save your money and make this unique yet easy and simple DIY pallet light / light fixture or lamp. 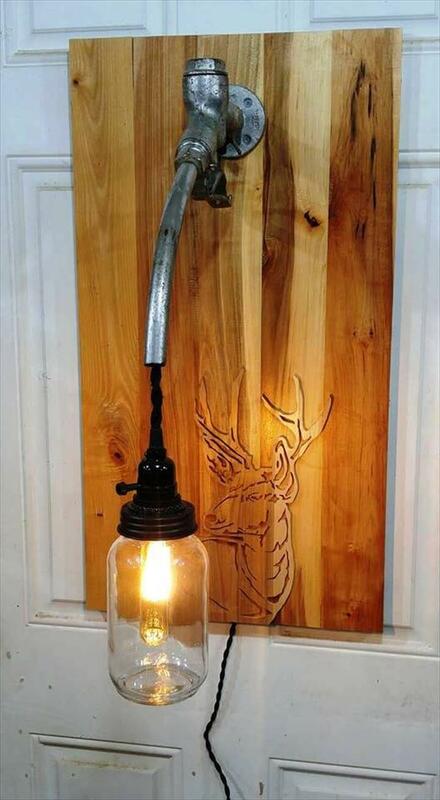 You need a pallet board like piece, a mason jar, a bulb and an old metal tap to install this light for your walls. The bulb is hanging in the jar with the wire passing through the tap pipe and going behind pallet. 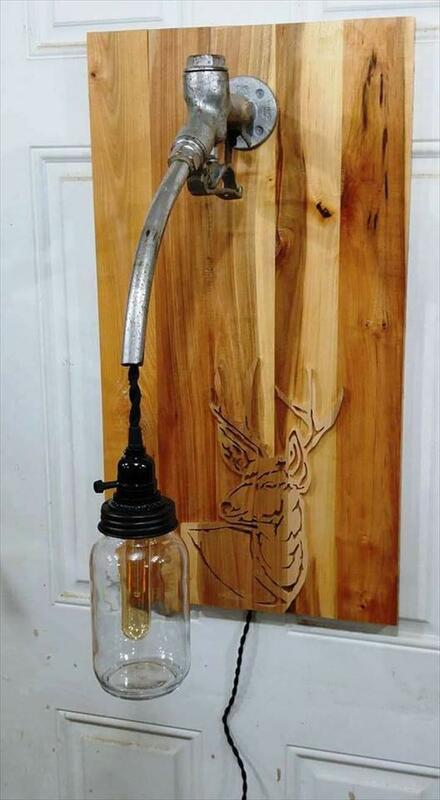 A deer image has been carved in order to elevate the decor value of this rustic wooden pallet light. Living, lounge, hall, or bedroom this pallet light would warm up any area of the house with its soft glow. Here is a simple yet a kind of unique light made out of the pallets to be used in area of the house getting mounted on the walls. 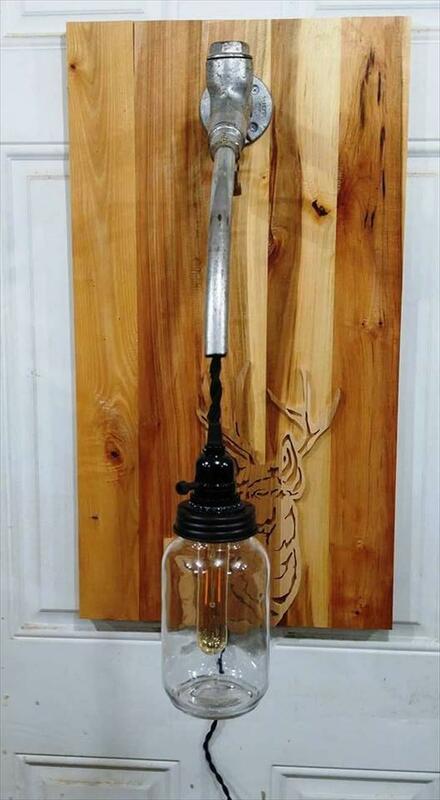 A pallet board like piece, an empty mason jar, a bulb and an old metal tap are the things used to build this awesome light source for your house. A deer shape is carved on the wooden pallet which would look really amazing with the reflected light of the bulb as shown above.